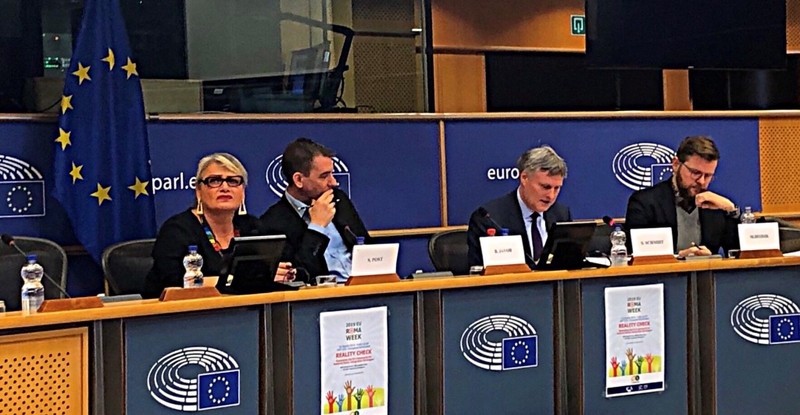 In his welcoming remarks on March 18, MEP Jávor Benedek remarked that this was the first time he had seen such a full house at a Roma event in the European Parliament. It was standing room only on Monday morning for the opening session of Roma Week in Brussels on the Roma Civil Monitor Project. Despite all the buzz about the merits of collaboration and participation, there was no getting over the fact that for hundreds of thousands of Roma across Europe things remain grim, with many mayors, ministers and political leaders scapegoating Roma for political gain, racking up the misery and scaling up the oppression. Back in 2016, the European Commission stated that, “five years is too short a period to undo centuries of discrimination and deprivation.” From the evidence of the Roma Civil Monitoring reports, it is clear that ten years won’t do the trick either. So it’s good news that the Commission remains committed to Roma inclusion beyond 2020. But the Commission is not the problem; it’s those backsliding Member States, regions and municipalities that are deliberately dragging their feet, and actively making the situation worse for Roma. The recently published Civil Monitor synthesis report covering 27 member states revealed that progress has been stalled by a combination of random and haphazard implementation, weak and often incoherent governance, largely unchecked patterns of discrimination, and an alarming rise in antigypsyism. The reports confirm that in those countries with significant Roma populations, discrimination continues to contaminate everyday life; segregated housing and schooling stubbornly persist, with hundreds of thousands of Roma denied access to basic services including clean water and sanitation. Across the European Union many Roma communities remain vulnerable to forced evictions, discriminatory policing and racially motivated hostility and violence. A lack of accountability verging on impunity in some countries means that police officers frequently use excessive force in mass raids or against Roma detainees. The monitoring reports point to a worrying increase in anti-Roma hate speech online and offline, stereotyped and often racist reporting in mainstream broadcast and print media, and frequent resort to inflammatory anti-Roma rhetoric by elected politicians from government and opposition parties in many member states, most notably Bulgaria and Italy. ERRC’s latest factsheet on collective violence against Roma provides chilling accounts of the often lethal consequences of incitement to racial hatred. The recognition of antigypsyism as a specific form of racism evident in recent European Parliament resolutions and Commission communications, has not translated into comprehension at national levels that antigypsyism is inherently a problem of the majority society. The recognition that combating antigypsyism must come first is welcome, but this must translate into something beyond worthy aspiration. FRA called for critical assessment by both the EU and the Member States to “devise concrete measures to remedy the existing situation”. Five hundred years after the fact, recognition by the EU that racism drives Roma exclusion is all well and good; but beyond the rhetoric and the fact of recognition, both the EU and the offending Member states must heed the FRA call. 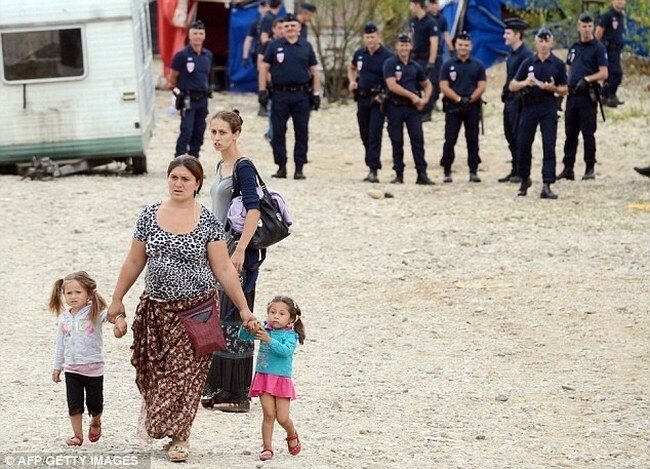 As a matter of urgency they need to “devise concrete measures” to ensure Roma have access to justice across the Union. For without access to justice, a post-2020 framework for Roma inclusion will amount to little more than nonsense on stilts. The Roma Civil Monitor (2017-2020) is a project initiated by the European Parliament and managed by the European Commission, Directorate General for Justice and Consumers. It is coordinated by the Center for Policy Studies at Central European University (CEU), in partnership with the European Roma Grassroots Organisations Network (ERGO), the European Roma Rights Centre (ERRC), the Fundación Secretariado Gitano (FSG) and the Roma Education Fund (REF). The reports are available here.